Looks like a few golfers from New England are registered in the Memorial. Good luck! A good chunk of this year's Discraft Memorial Championship being held in Arizona March 3-5 will be broadcast live over the Internet. Sign up before Feb. 24 and pay only $10 (regularly $20). The more people that subscribe, the more coverage they can provide. All registered subscribers are entered in daily sweepstakes. 10. The Fountain Hills Course in Arizona will make for a spectacular disc golf backdrop during the broadcast and help us all forget about this brutal winter. 9. You can get the answer to one of disc golf's persistent questions..."How big will Nikko's hair be this season?" 8. For only $9.99 you can watch the show live Wednesday, Thursday, and Friday AND then again whenever it's convenient for you with our archived Video on Demand system. 7. You'll get a kick out of how quickly players go to putt, once they see the ominious fountain plume launch hundreds of feet into the air, knowing the resulting wind is only seconds away from altering playing conditions. 6. There will be over $2500 worth of prizes given away to registered viewers throughout all three days of our live broadcast. 5. Watching online guarantees that you will not suffer the same fate as most of the disc golf snow birds, who will show up Thursday with sun-burned faces saying, "The sun didn't feel that hot when I was out here yesterday!" 4. We will be providing LIVE SATELLITE coverage of Amateur disc golfers throughout the day Thursday from Fountain Hills! 3. Our broadcast team of David Greenwell, Terry Miller, and Jim Oates will be providing expert analysis of the action throughout our entire live broadcast. 2. Your support will show outside companies, who are waiting to see what happens, that disc golf is ready for business! 1. The Memorial Championship winner is a reliable predictor of who will be the dominating force in disc golf during the entire disc golf season! Troy Manni out-dueled veteran Daniel Marcus to win the Pro division in the first annual West Thompson Ice bowl in N. Grosvenordale, CT on Sat. Feb. 13. The event raised almost $600 for the local food bank, TEEG. Daniel posted the hot round with a 48 in the first round. Troy, Brian Harrington, and Aaron Ala were all looking to take control in the second round and put some heat on Daniel. In the end, Troy’s 102 prevailed over Daniel’s 104. Brian settled for 3rd with a 105, Greg Wintrob shot a 106 and moved into 4th, and Aaron fell to 5th with a 107. In the Amateur division, John Tserpes threw a 111 to take the AM1 crown for his best finish ever at West Thompson Lake. Chris Irvine’s 113 took second, followed by Kevin Kazierski 115, Mark Valis 117, and Greg Aucoin 118. Bill Dunne took the Masters with a 128. Pete Charron’s 119 won the AM2 division and Heather Eng outlasted Nicky King to win the Women’s division with a 144. In the Recreational division, Rich Vontell and Dennis McMahon needed a sudden death tiebreaker to crown a champion. Rich took it down with a 151. Welcome to disc golf guys! Thanks for the support of this worthwhile event! 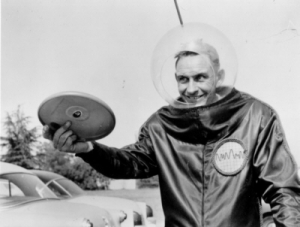 Walter Fredrick (Fred) Morrison, best known as the inventor of the Frisbee, passed away February 9, 2010 at the age of 90 at his home in Monroe, UT after a long period of declining health. Your chance to play in an Ice Bowl this year doubles this weekend as both West Thompson Lake and J-Park host their respective Ice Bowls. If you are looking for a great course built around a dam, then head to N. Grosvenordale, CT and play in Steve Dakai's first WT Ice Bowl Singles. If you live near Albany, NY, then head to Jeff Wiechowski's 4th Annual J-Park Ice Bowl in Coeymans, NY. Both events are guaranteed to make you feel good at the end of the day since a portion of all entry fees goes to supporting local food banks. There's also the Ice Pairs tournament in Maine this weekend at Burnsboro disc golf course in Vassalboro, ME. NEFA has got your winter golf fix covered! We were pretty successful at our Ice Bowl that was TD-ed by Pete Hess. We had 37 players come out to begin playing in the -4 degree weather on January 30 in Waterbury Center. We raised $3665. Raffling a Burton snowboard did create some funds - $965 - and then we had an anonymous sponsor do matching funds (50 cents to each dollar) to the monies raised online for the raffle. Of note, the online donations included those that could not attend the Ice Bucket, so we thought having a raffle would be a nice way to give them a chance to win something. We got donations from local businesses for prizes for ALL players, so no one went home empty-handed. We started at the top of the winners list (first place overall, doubles, singles and then on to second place for each category) and let people choose their prizes. We provided a free hot lunch to every player using funds donated by Albin Family Foundation. We did a lot to encourage players to come out. It can be a challenge to get people out in VT during the winter so we did everything we could to make it fun for all. We played singles from the short tees first round and hi/lo doubles second round. To level the playing field in doubles, we played 9 best disc holes and then 9 worst disc holes. Ace pot was a stack of donated "new to you discs" which no one managed to win. Click for more photos from the Ice Bucket!